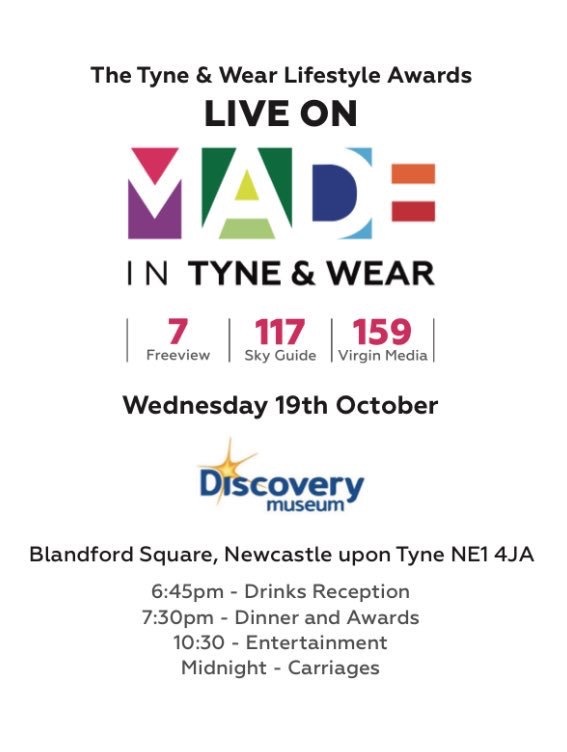 Last week businesses and fashionistas from all over the North East gathered at the Discovery Museum in Newcastle to celebrate the inaugural Tyne & Wear Lifestyle Awards, broadcast live on Made in Tyne & Wear. With twelve categories, the ceremony toasted a whole range of businesses, ultimately compiling a guide to everything that’s awesome about the North East in one handy list. I swept up the train of my Claire Pettibone Romantique dress and sped over to the Discovery Museum to bring you the lowdown…. Our venue for the evening, The Discovery Museum is an imposing, red brick building which houses treasures from all over the region and as an event venue it’s pretty special. As we make our way up to the Grand Hall hidden away in the roof space, the internal metal structure exposed, this truly is the jewel in the museum’s crown and the perfect place for a Geordie knees up. I bumped into fellow Blogger Anth May wearing a fitted TopMan suit and he instantly became my designated date for the evening. After being interviewed for a live edition of The Lowdown about red carpet fashion and new season trends (Did you catch it Voyeurs?) we were seated for a three course dinner inspired by North East delicacies including pease pudding and even a stottie. (High five whoever shoehorned that on to the menu). We shared a table with North East favourites Donna Petch from North East Hub and Joe Sexton from cookery show Fit in the Kitchen. Pre-show entertainment came in the form of a comedy-fest from Britain’s Got Talent favourites The Mimic Men and as the entire night’s proceedings were broadcast live on TV, the audience were given a jovial reminder on etiquette for fucks, buggers and See You Next Tuesdays before the show got underway. Guest presenters from all over the region and further afield dished out awards to the best North East businesses, as voted for by the public. I was asked to present the award for Best Fashion Retailer which went to Gosforth boutique Have To Love and owner Kate Walton told me she was ecstatic to have won. 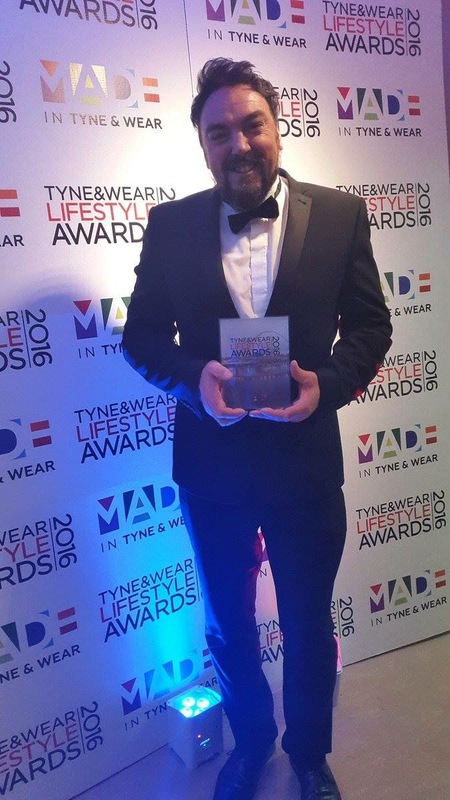 At the end of the evening, a special Tyne & Wear Legend Award was given to Colin Burgin-Plews, otherwise known as Big Pink dress, for selflessly dedicating his time to innovative ways of raising funds for Cancer Awareness charities. Kudos Colin, I think you’re pretty damn awesome. Once the awards were concluded there was just one thing left to do, party the night away. For one night only, the best of the best in the North East assembled under one roof, just like the Avengers did – although they did it on a plane – and danced the night away. And if there’s one thing we don’t need an award for in Tyne & Wear it’s partying, we’ve got that one covered….